Research shows that many children today are struggling to meet their daily-recommended targets for physical activity. We know that inactivity is a risk factor for a multitude of chronic diseases and many of the habits that shape our adult lives are set in childhood. Physical activity is important for a growing body as movement and weight bearing have a large impact on bone strength, muscle and tendon health. Here are some tips to make sure your child is staying as active as possible. 1. Find an activity that suits your child’s personality and abilities. Children who are very coordinated and excel in competition may find team sports both increase their self-esteem as well as keep them fit. For other children, being a part of a team can cause embarrassment and they may say they dislike exercise, when in fact what they dislike is feeling like a failure and letting down the team. These children may prefer a sport where success measured by improving their own performance, rather than being compared to other children. Surfing, yoga, martial arts, dancing or gymnastics may be activities that suit your child if competitive and team sports cause them to be discouraged. 2. Do get injuries checked out by a professional and invest in proper rehabilitation. While children do bounce back quickly from injuries, they also may have difficulty expressing themselves and their worries when they have pain. A niggling pain that won’t go away may cause your child to say “I don’t like sport” rather than mentioning that they are in pain. Some children may retain worries that they will hurt themselves again because of a previous injury and avoid exercise because they don’t feel completely confident. Your physiotherapist can help to identify any issues that your child is having and help to resolve them. 3. Set fun and challenging goals for them to complete during their daily routine. As fewer children are walking and riding to school, try to find ways to fit extra activities into the day. Have a daily long jump competition in the backyard at the same time each day or have bed making time trials. Have a routine before bed of age-appropriate exercises, such as star jumps, hopping, balancing and running on the spot. You can make this part of the night or morning ritual, just like brushing your teeth. Talk to your physiotherapist for more tips on how to increase your child’s activity levels. Finding an activity that matches your child’s age level is key to keeping them engaged and active. None of the information in this article is a replacement for proper medical advice. Always see a medical professional for advice on your individual injury. 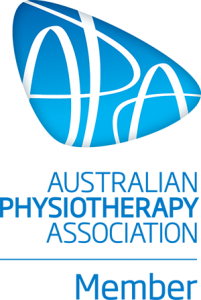 Caboolture Physical Therapy Centre – serving people in need from the following areas: Caboolture, Morayfield, Elimbah, Wamuran, Beerburrum, Beerwah, Glasshouse Mountains, Toorbul, Donnybrook, Ningi, Woodford, Kilcoy, Bribie Island, Goodwin Beach, Sandstone Point, Banksia Beach, Bongaree, Bellar, Woorim, Burpengary & Beachmere.